I don't quite know what to think about this, but I will say that having a religious organization get involved on your behalf on a matter that isn't, in any way, having to do with matters of religious faith is a bit unseemly. This is about sport, Baseball and love of a great franchise. This is not about matters of religious worship and faith. And I know that Tommy likes to talk about the great "Dodger in the sky" all of the time, but ... Come on now!!! From NBCLosAngeles.com: Here is the actual letter for your own perusal. 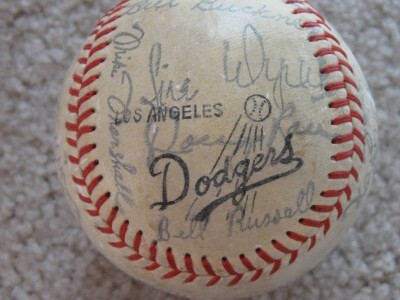 In a lengthy letter to MLB Commissioner Bud Selig, representatives of the (First A.M.E.) Church write, "We are deeply troubled by the rancor, media attacks and lack of equity that has been afforded the Los Angeles Dodgers and Frank McCourt as they seek to provide financial stability to one of baseball's most notable franchises." At a news conference Friday, the clergy members said they met last week with co-owner Frank McCourt. "We embraced him a week ago," said the Rev. John Hunter, pastor at AME. "We had a breakfast with him. He shared with us in some detail his walk here in Los Angeles with the Dodgers and what he is experiencing." Here is the part that ... OK, just read it yourself. Hunter said he believes McCourt has been a "good steward" of the franchise. He said he'd like Selig to respond to the letter and approve the FOX deal. The letter continues, "Frank McCourt is a man of conviction, courage and integrity...though he may have fallen down somewhat, he has the courage of his convictions to rise back up again and continue the strong legacy of the Los Angeles Dodgers." Sounds like they layered it on kind of thick, eh? Tom Owens does a great writeup on a poetry reading he went to at an elementary school that had Dodger 3rd Baseman Casey Blake in attendance when he was with Cleveland at Baseball by the Letters. This is pretty great and a MUST READ! Congratulations to Mike Scioscia's Tragic Illness for being name best LA's best Sports Blog by LA Weekly. 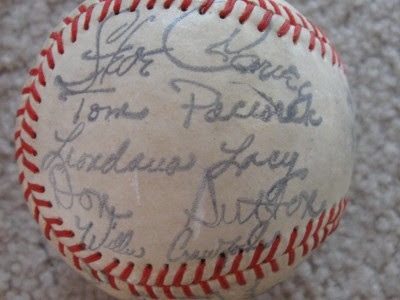 It's easy to forget that Tommy Lasorda also played for the Kansas City A's. Check out a regional card from 1956 to prove it from Bob Lemke. It also appears to be very scarce, and possibly the only card in existence showing the old skipper in a A's uniform. Here's a nice rundown of the first 30 rounds of the 2011 Draft fr the Dodgers, via True Blue LA. Shorpy has a great vintage pic of kids at a ballgame in Detroit in 1942. Albert Chen at Sports Illustrated writes about the cutter and its impact on the game. How about some wine with that McDonald's take-out, via Snooth. 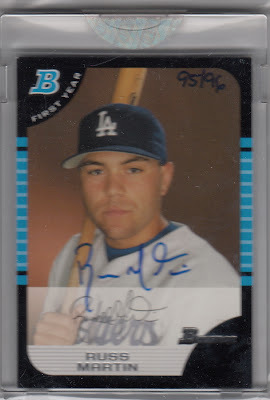 GCRL goes through the evolution of left field for the Dodgers through Baseball cards. Check out Save Vin Scully's Star, via Farther Off the Wall. Sometimes you just need a change, and unfortunately, that's all it took for Russell Martin to find his game back. Too bad he couldn't maintain that intensity in LA. I'm sure with him playing in the raucous zoo of New York that he will do fine. Oh well. He could have been, should have been, one of a long line of great Dodger catchers. 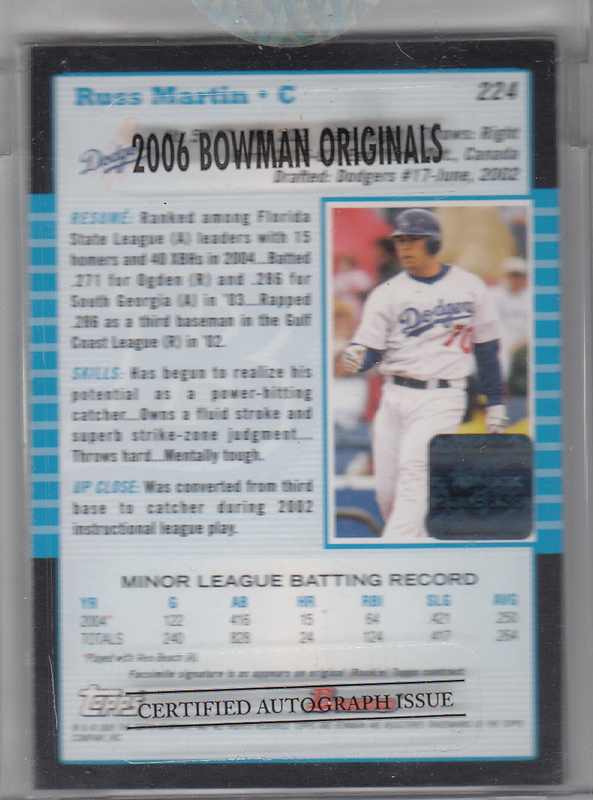 Anyway, here is a 2006 Bowman Originals autograph uncirculated cards in my collection. 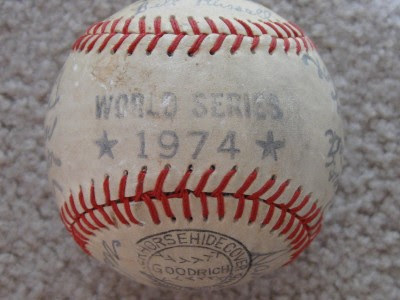 You know they sold a bunch of these during the 1974 World Series, but how many have you seen since then. This is a first for me and I find it exciting. 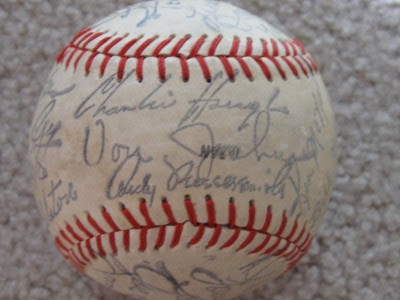 This is a souvenir World Series Baseball with facsimile signatures of the Dodgers. They were sold at the stadium concession stands.